The weirder the better! I am a designer who wants a challenge and loves unique requests, which this job was for sure! This client wanted a "Psycho Midget on a Nomad's Shield" from the Borderlands 2 video game. His original idea was to create the whole thing from metal, but because he wanted a high level of detail and a fairly large size, I had the idea to create the man with polymer clay instead, which the client agreed to. The shield is created from multiple pieces of nickel, riveted together to look like the ones on the game. The man was made from polymer clay and painted with acrylic. 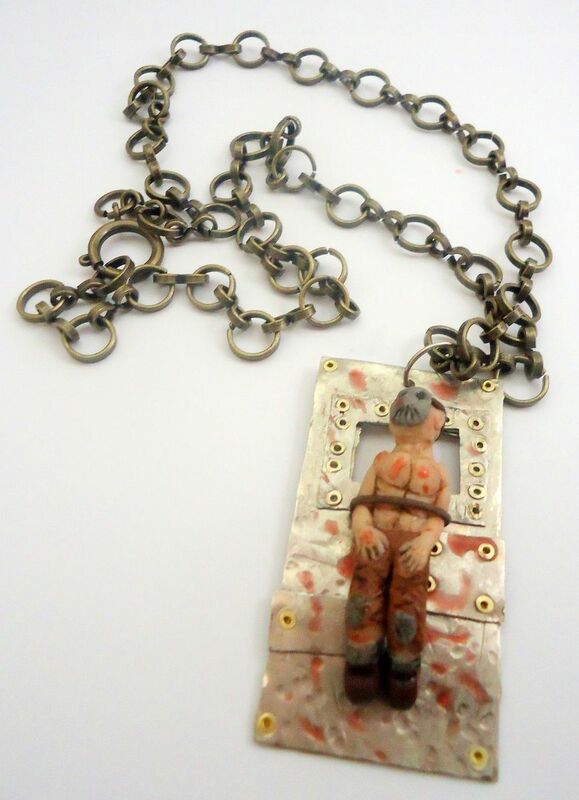 Red enamel "blood" and a bronze colored chain complete this gory piece. 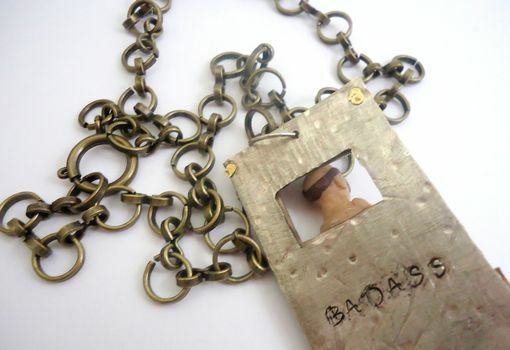 It measures 2 1/2 inches high by 1 3/4 inches wide.